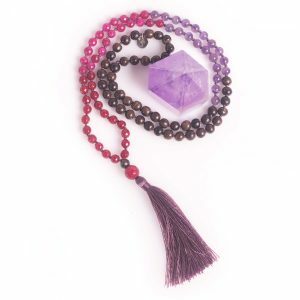 View cart “TRUE LOVE AND CONFIDENCE MALA BEADS” has been added to your cart. 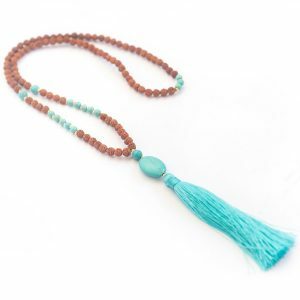 Beautiful and simple hamdmade mala necklace. 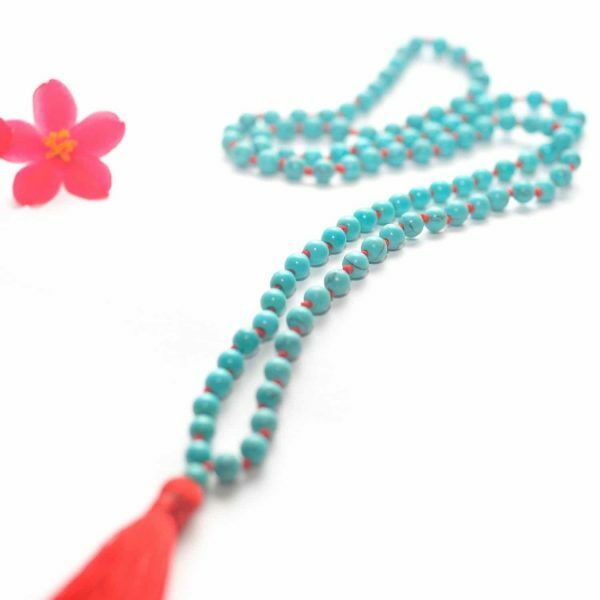 108 Aqua Turquoise Howlite stone beads, hand knotted with red nylon thread are completed with silky red tassel. Great mala for energy balance and tranquility, looking fantastic with any outfit. HOWLITE ~ “The Calming Stone“ is the stone of calmness, comfort, knowledge, memory and progress. It helps to relieve an overactive mind and has the ability to heal mentally, physically and emotionally. 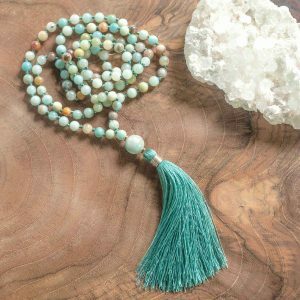 Beautiful and simple handmade mala necklace. 108 Aqua Turquoise Howlite stone beads, hand knotted with red nylon thread are completed with silky red tassel. Great mala for energy balance and tranquility, looking fantastic with any outfit.